Spending hours by the riverbank fishing is something a huge number of men women and also children love doing. However, it is something that does not appeal to everyone, and many people cannot see the point of doing so! Unless you have experienced fishing then you will not know how relaxing and how therapeutic it can be, much more so if you lead a very busy lifestyle. Playing slot machines however can be a fast and furious way to spend your spare time, but if you fancy coupling your love of fishing and playing slots then keep on reading for I am about to introduce to you a range of fishing themed slot games. The following slots are available to online players, and as such you will need to find an online casino that has them on offer in their suite of games, to make doing so easy I have included slots that have been designed by quite a large range of different designers. 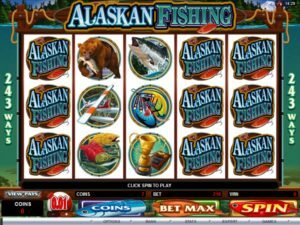 The Alaskan Fishing slot is going to be offering you a quite different type of slot playing experience, for it is one of the newer video slots from Microgaming that gives you a huge 243 ways of forming a winning combination on each spin you play off. As long as you get the minimum required number of matching symbols spinning in from left to right on the screen you are guaranteed to have them covered in a winning combination. The stakes you can play that fishing themed slot game for are adjustable, but keep in mind that being an All Ways slot you are required to have to wager at least 30 coins per spin or an increment of 30 coins. In regards to the bonus games you can trigger when playing this slot there are free spins on offer and also a pick to win styled fishing based bonus game, both of which can payout some large amounts of cash! You will have double the chances of spinning in a winning combination if you set about playing the Lucky Angler slot game from NetEnt for it is a slot they have designed as a Both Ways slot. So all winning combinations can be formed from right to left and left to right across the screen. 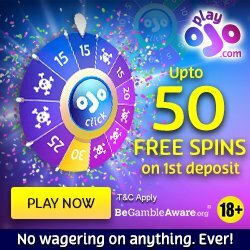 However, there is a price to be paid for that playing structure and format as you are required to wager 30 coins per spin and by doing so you will then have 15 pay lines in live play both ways across the screen. 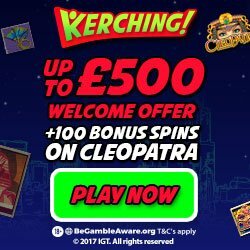 The maximum pay out from a single spin you play off is a huge 250,000 coins and the slot is made complete not only with its very obvious fishing related theme but sets of sticky wild symbols and its free spins bonus feature game too! For a fully configurable type of slot playing session also consider getting stuck into playing the Bearly Fishing slot from Microgaming, that slot has 25 optional pay lines on offer so you are always in full control of the stakes and pay lines you send into live play. You can win a base game jackpot worth 8000 coins for each single coin wagered on the pay lines, and any winning combination you spin in gives you the option of taking gamble game feature too. The main bonus game is a set of free spins however before they start to play off you need to play a fishing themed pick to win type of bonus game to determine just what the value of the multipliers in play on your free spins will be!